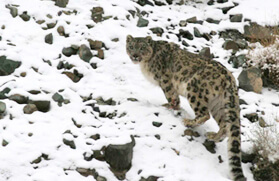 One of the most beautiful and nail biting trails in the Ladakh region is the Wild Ladakh Trek. 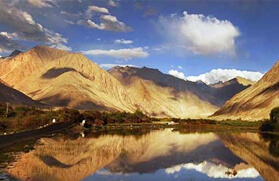 On one hand, it throws you into the unique diorama of Indo -Tibetan culture while on the other hand into the natural spectrum that is endowed with varied topography, crystal clear lakes and wildlife. 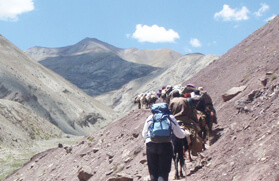 The Wild Ladakh Trekking is an opportunity to experience a little bit of Ladakh within a short span. The journey takes you through some of the high altitude mountain passes, remote villages, ancient monasteries, scanty meadows surrounded by barren highlands and lakes. 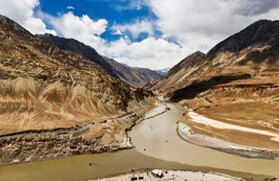 The Wild Ladakh trekking tour commences from Leh and wheels to Kargil en route to Lamayuru monastery and Mulbekh. 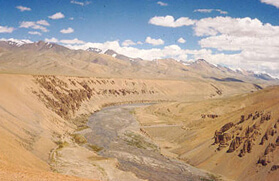 Thereafter, the journey steers to Padum via Rangdum and leads to Alchi via Kargil. 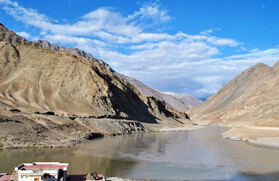 From Alchi the Wild Ladakh trekking tour heads to Likir Gompa via Leh and turns to Dha Hanu. 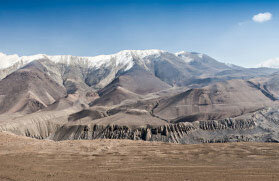 The journey continues via Basgo, Hemis, Chumthang and takes you to the serene vicinity of Tso Moriri. 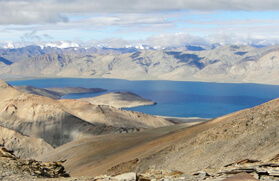 Thereby via Karzok the tour leads to Tso Kar and then to Jispa via Sarchu. From Jispa the Wild Ladakh trekking tour concludes at Manali. Upon arrival you will be met by our representative and transferred 30 minutes to hotel Park. Overnight hotel. Early morning transfer for flight to Leh. Arrival and transfer to Hotel Kanglhachhen. Afternoon free. Sightseeing at Shey, Thikse and Hemis monasteries. Drive to camp at Uleytokpo visiting Alchi monastery enroute. Day 05: Drive to Lamayuru. 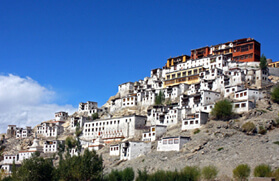 Visit the monastery built in the 10th century and one of the oldest monastic sites in Ladakh. The trail heads down the valley before turning east to Prinkitila (3506m). Descend from the pass to the scenic village of Wanla. Camp overnight. Follow a nice wide path till the village of Penji from where you leave the main trail and head up the Ripchar valley to Hinju. Continue up the valley to grazing areas which support the village summer camps to camp at the base of Konzela. 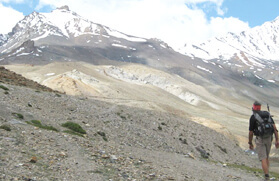 Begin a short but steep climb to Konzela (4950m) for views of the Zanskar range. A long and steep descent brings you to a camp by the river at Lanak. Follow the left bank of the river to the village of Sumda then go up the ridge to another pass - Dunduchunla (4435m) and descend to camp near the village of Chilling, the inhabitants of whom are the only ones who are the main metal workers making Ladakhi copper utensils. 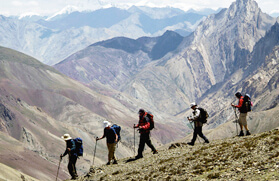 Cross the Zanskar by pulley cable and follow a lovely trail to camp at Skiu. A full walking day. Cross the Markha River at two places to the village of Chalak. Beyond this settle-ment is an impressive line of chortens and a huge mound of goat horns. Follow the Markha River to the village of Markha to camp overnight. 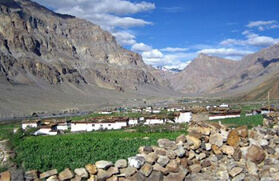 Follow the main trail passing the monastery at Humlung to the village of Hankar. We now go away from the wide valley and go up a narrow valley to the pastures at Thachungtse. (5-6hrs). from Thachungtse, the trail climbs steeply to the plateau and pastures of Nimaling with impressive views of Kangyassey peak. Rest day at Nimaling. Optional hike up the left shoulder of Kangyassey. 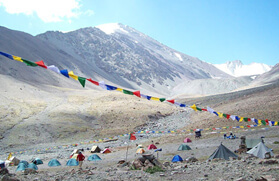 Begin a gradual climb of about 2 hrs to the top of Kongmarula (5030m), the highest point on the trek with excellent views of the Stok range and the Karakoram range of mountains. Descend to the wooded gorge to camp at Chogdo. Follow the Shang Tokpo (stream). Go up Shang la at 4900m and descend to camp. Descend from Mathola to the village at Matho. Drive to Leh visiting Stok Palace and museum on the way back. Rafting on the Indus. Grade 2+ with a lot of waves. Approximately 3 to 4 hrs of fun on the river. Return to Leh. Extra day to be adjusted in case of flight cancellation or exchanged for an Agra extension.